Prime Old City grand commercial property. Surrounded by walking streets, great architecture, cafe's, restaurants, landmark historic sites and so much new development! The large scale "National" site is well under way with a proposed 180 unit mixed use complex just across the street. 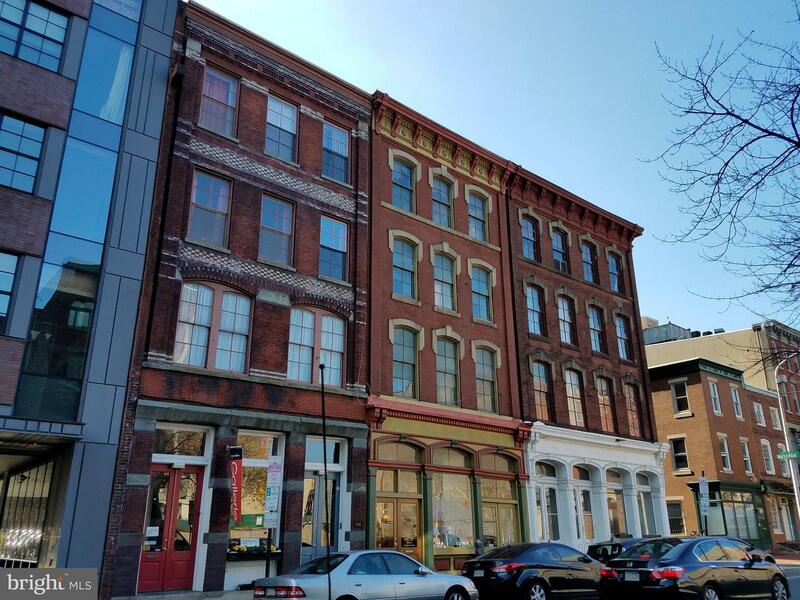 120 Arch consists of 4 floors of great Old City loft space. High ceilings, big & bright windows, working freight elevator, exposed brick and industrial duct-work. Rear of the property has windows that have been bricked up that could be reinstalled for apartment conversion. 1st & 2nd floor is a high-end boutique in business for many years, 3rd floor is built out & has a short term lease for office space, 4th floor is vacant & needs renovation. Superb location for a mixed use redevelopment, possible apt/condo conversion and prime street traffic for a wide range new commercial tenants. Possible owner occupant uses as well with income. A beautiful well maintained building, Historical facade, CMX3 zoning, and huge potential for investment!